NCPD: Omar Baumann of Kissimee, 30, is being charged with Assault and Possession of a Dangerous Weapon. 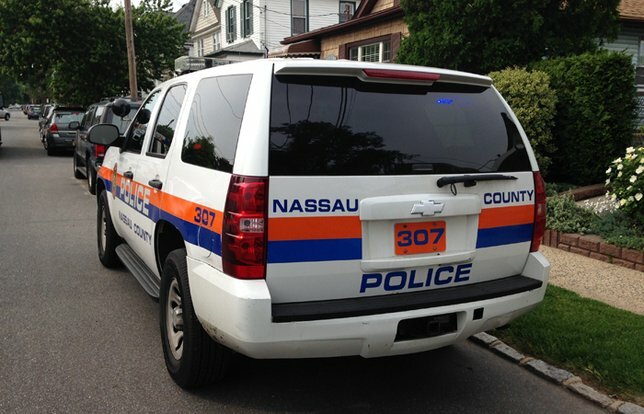 NCPD reports the arrest of a Florida man for an Assault that occurred on Monday, October 23, in Elmont. Elmont, NY - October 24, 2017 - The Fifth Squad reports the arrest of a Florida man for an Assault that occurred on Monday, October 23, 2017 at 5:35 p.m. in Elmont. According to detectives, Omar Baumann, 30, of Kissimee, got into an altercation with an acquaintance over a past disagreement. The altercation became physical when the defendant pulled a knife from his pocket and stabbed the victim several times, including once in his abdomen. The victim drove himself to an area hospital for treatment. Baumann was arrested without incident. Defendant Baumann is being charged with Assault 1st Degree and Possession of a Dangerous Weapon 4th Degree. He will be arraigned on Tuesday, October 24, 2017 at First District Court, Hempstead. Subject: LongIsland.com - Your Name sent you Article details of "Florida Man Arrested for Stabbing Elmont Resident, According to Authorities"